`Today the smallest details of our daily lives are tracked and traced more closely than ever before, and those who are monitored often cooperate willingly with the monitors. From London and New York to New Delhi, Shanghai and Rio de Janeiro, video cameras are a familiar and accepted sight in public places. Air travel now commonly involves devices such as body-scanners and biometric checks that have proliferated in the wake of 9/11. And every day Google and credit-card issuers note the details of our habits, concerns and preferences, quietly prompting customized marketing strategies with our active, all too often zealous cooperation. In today's liquid modern world, the paths of daily life are mobile and flexible. Crossing national borders is a commonplace activity and immersion in social media increasingly ubiquitous. Today's citizens, workers, consumers and travellers are always on the move but often lacking certainty and lasting bonds. But in this world where spaces may not be fixed and time is boundless, our perpetual motion does not go unnoticed. Surveillance spreads in hitherto unimaginable ways, responding to and reproducing the slippery nature of modern life, seeping into areas where it once had only marginal sway. 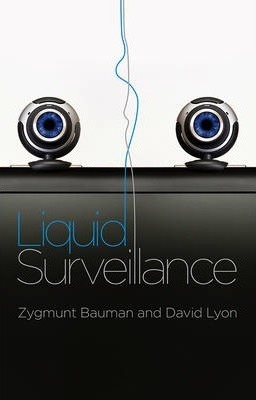 In this book the surveillance analysis of David Lyon meets the liquid modern world so insightfully dissected by Zygmunt Bauman. Is a dismal future of moment-by-moment monitoring closing in, or are there still spaces of freedom and hope? How do we realize our responsibility for the human beings before us, often lost in discussions of data and categorization? Dealing with questions of power, technology and morality, this book is a brilliant analysis of what it means to be watched - and watching - today. "A brilliant analysis of what it means to be watched and to be watching today." Zygmunt Bauman (1925-2017) was Professor Emeritus of Sociology at the University of Leeds, UK. His books have become international bestsellers and have been translated into more than 30 languages. David Lyon is Professor of Sociology at Queen's University, Canada. His previous publications include Identifying Citizens: ID Cards as Surveillance (2009) and Surveillance Studies: An Overview (2007).